Lance Jay Brown, FAIA, DPACSA, is the principal of Lance Jay Brown Architecture + Urban Design in New York City, fellow of the Institute for Urban Design, ACSA Distinguished Professor at the City College of New York’s Spitzer School of Architecture, and served as 2014 President of the American Institute of Architects’ New York Chapter. He is a recipient of the prestigious AIA/ACSA Topaz Medallion for Excellence in Architectural Education and more recently received local and national awards for his Post-Sandy work. He will be presenting in our NYC office on October 27th during our Environmental Awareness Week (EAW). CannonDesign: What topics are you planning to focus on for the EAW event? 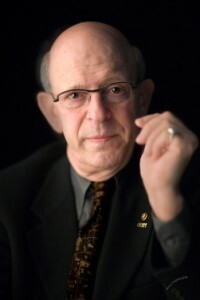 Lance Jay Brown: My experiences over the last decade or more have exposed me to a wide variety of changes that are happening in the world as we know it. They range from addressing global challenges, such as the great movement toward urbanization around the world, to studying the evolving city in the U.S. and internationally. There are also many local challenges, including resiliency, housing affordability, and the role of the public realm. Recently, much of my focus has been on the effects of hurricane Sandy. CD: Can you elaborate on your work on resiliency and the need for preparedness in today’s world? LJB: I look upon my engagement in the post-Sandy world as having started in the post-9/11 world. During that time, I think I became personally sensitized to being prepared for disastrous and potentially tragic events. I knew I was a part of a large urban community of 8 million people, but it was my home and I wondered how ready we were to deal with something of that magnitude again. And I don’t think it was a stretch to say we weren’t ready enough. A few years after, there was an onslaught of natural disasters around the world, including the devastating Shri Lanka tsunami in 2004. With all of these on my mind, I decided to form a task force named The Disaster Preparedness Task Force. It wasn’t a committee or heavily sanctioned, but it had good people from the American Institute of Architects New York Chapter, the American Planning Association, the American Society of Landscape Architects, and the Regional Plan Association. With this small group, we were able to discuss what we could do to better prepare ourselves for disasters of every kind. During this time, I also did some research and found that only three states—California, Texas and Kansas—had an AIA disaster preparedness manual. New York State didn’t yet have one. CD: So when Hurricane Sandy hit New York City, how did the committee respond? LJB: When Sandy arrived, we were a cohort of people ready to take action. We didn’t have to start from scratch—we were ahead of the curve for once. Our ability to respond was fairly nimble and we were called to the NYS Office of Emergency Management to discuss immediate next steps. At the same time we were doing work on the ground, we were organizing the AIA New York chapter and all of the related committees to start to do research as to how we could respond to the challenges presented. With about 400 of us working together and in collaboration with ACEC NY, ASLA NY, CHPC, NYSAFFAH, APA NY Metro, RPA, and SEAoNY, we put together a complete, 43-page report entitled the Post-Sandy Initiative. We cited six special areas that needed attention; it was the first document published in response to Hurricane Sandy. The document lives on even today as an extremely useful template for any post-disaster report that can be used for other cities, regions and communities. The full report and its eight- page executive summary is available on the DfRR website. 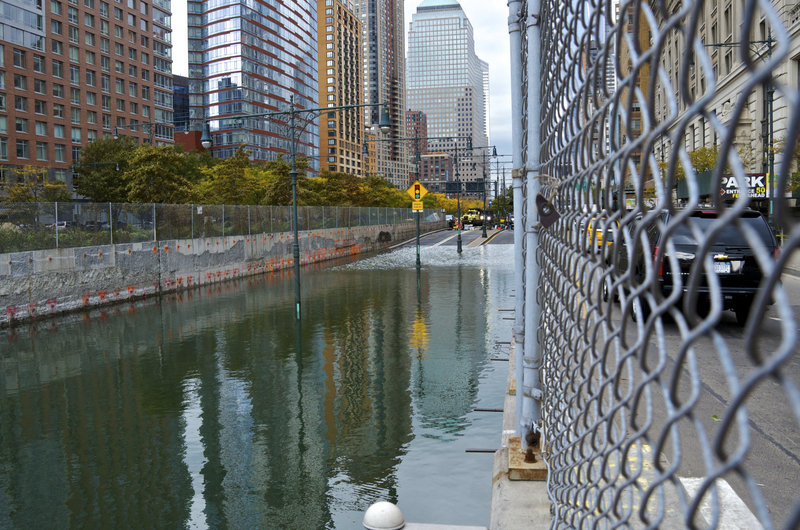 In the aftermath of Hurricane Sandy, the Battery Park Underpass is seen completely flooded along the West Street entrance looking north in Lower Manhattan. CD: Anything else you will be touching on in your presentation? LJB: I’m also going to touch on my writings related to urban recentralization and design, and my work with the United Nations and the Sustainable Development Goals (SDGs) that will be discussed fully at the U.N. Habitat III meeting in 2016 in Quito, Ecuador. The U.N., in its long history, has largely focused on the developing world. 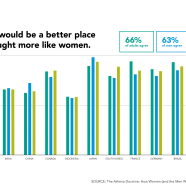 During that same amount of time, the urban population has grown and, for the first time in history, is globally larger than the non-urban population. The population of the world just last year became over 50% urbanized. The SDGs includes a goal which focuses on cities and topics such as mobility, transportation, housing, public space—many of the things that engage the design profession. The design profession has a unique opportunity to align itself better with these goals and can respond to new challenges and innovate new methods of design and planning that did not previously exist. My advice is to expand the fields and integrate the silos of how we work because the nature of sustainability and resiliency is extremely collaborative. I would like to see the design profession take the lead in collaborative actions that respond creatively to the emerging resiliency environment. Lance Jay Brown will be speaking in New York City on October 27th at the CannonDesign office as part of our Environmental Awareness Week (EAW). EAW is CannonDesign’s annual celebration of smart ideas, innovative technologies and iconoclastic thinkers that help guide our progress toward becoming a regenerative practice.